The thing about Shakespeare, as every schoolboy knows, is that he is everywhere. It's hard to do a new thing with Shakespeare, especially when half the plays are variations on the same three (maybe four) plots, so the Royal Shakespeare Company's adaptation of Much Ado About Nothing has a job on its hands. Ostensibly, where this Much Ado stands out is in its setting: transporting the whole business, names and 400-year-old English stage language and all, over to India. In many ways, it's a perfect adaptation: the antagonistic-slash-flirtatious banter between Benedick and Beatrice is a direct ancestor of the best romantic comedy conventions, not to mention the best Bollywood conventions, which is where much of this production's inspiration comes from. Yes, there is dancing, as awesome as it is unexpected. And when it all goes a bit dark in the second act, the choice of setting becomes more than aesthetic: the courtship rituals and the themes of 'chastity' and 'honour' and such, which played so well in the 1600s, resonate with India in the modern day and the still-recent news of familial honour killings in Asian communities. All this is well and good and used to great effect (the set in particular, an intricate courtyard alternately drowning in sunlight and darkness, is fantastic) — but where the play stands out is in its Benedick and Beatrice. 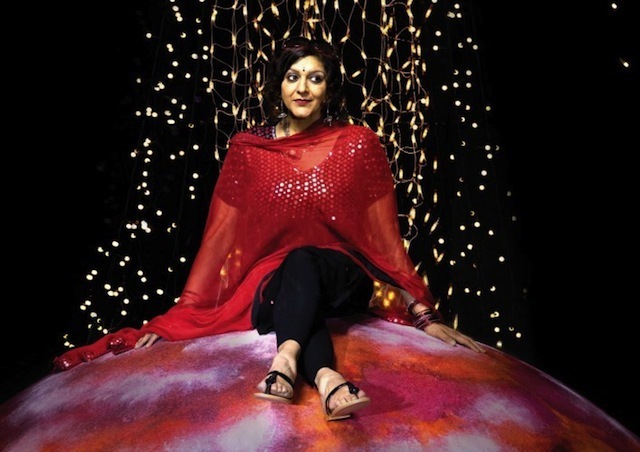 Most of the ensemble becomes a secondary concern to the gleeful hyperactivity and comic timing of RSC player Paul Bhattacharjee and Meera Syal of Goodness Gracious Me fame. Go. Go and see it. And turn up early for some bonus Dogberry. Much Ado About Nothing is at the Noël Coward Theatre until 27 October. Londonist saw the show on a review ticket courtesy of the RSC.